Fight to escape a remote facility and rejoin the tribe in a new adventure from the new FoxNext VR Studio. Hey PS VR enthusiasts! 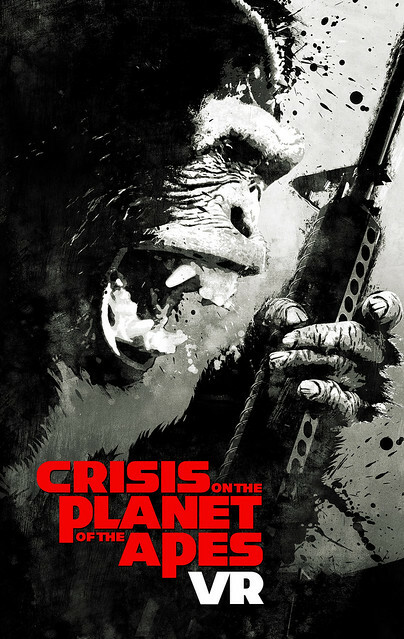 I’m Ben Miller, Director of VR Production and Design at the new FoxNext VR Studio, announcing our newest virtual reality game: Crisis on the Planet of the Apes. 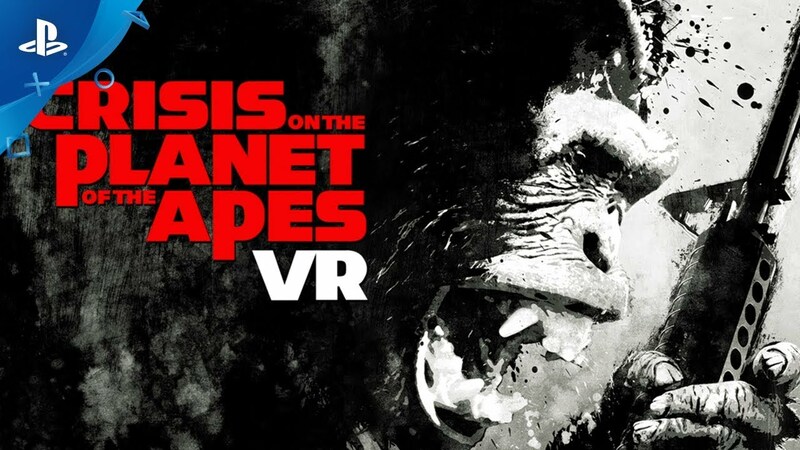 We’re excited to share that Crisis is a first-person action adventure VR game where, for the first time, you are able to live as a powerful, intelligent ape in the apocalyptic world of Planet of the Apes. You’ll need to break out of a military camp by climbing, jumping, and wielding lethal weaponry, all while using your wits and simian strength – an exciting couple of hours of visceral VR gameplay. We worked with startup developer Imaginati, who brought this piece to life through countless hours of hard work and dedication to create an immersive VR-only game experience. When you hold your hands out in front of you in Crisis, you won’t see controllers or even human hands, but furry, muscular ape arms. When you walk, you won’t do it by just holding it a button or warping through the world. You’ll have to learn how to move like an ape – swinging your arms in the real world as an ape might move. And when it comes to seemingly impassable walls and obstacles, you’ll experience the freedom of being able to climb them like an ape. By building for this from the ground up, it means that we can really take advantage of the PS VR and PS Move controllers to give you an experience you could never be imagined in real life. Apes are powerful, agile and ferocious creatures. In Crisis, we give you all of this power and agility — useful when you are outgunned, outnumbered and on the run from human soldiers. In Crisis, we created a unique combat system that lets you easily grab a piece of cover with your hands and move in and out of cover by moving your virtual body. Everything is driven by your motions and we have removed nearly all UI elements in the game to maximize your immersion. When you engage in combat, you’ll be able to reach over your shoulder to pull out one of a number of guns you’ll swipe from the camp. Set between Rise of the Planet of the Apes and Dawn of the Planet of the Apes, the player, an ape known only as Specimen 139, finds themselves captured by the military and en route to a remote scientific facility in Northern California. It is year 5 of Simian Flu epidemic — 3 billion humans are dead, and society is on the brink of collapse. At the facility, players are captured by the trigger-happy Sargeant Richter, who views any Ape as a threat, and Dr. Eva Devon, whose quest for a cure to the Simian Flu has convinced her that there’s no cost too high. You will also meet and help Bone and Spear, fellow intelligent apes, escape from the facility and return back to Caesar and the rest of the tribe. We hope you are able to check out the game when it launches on April 3, and we can’t wait to hear what you think! Fantastic! Can’t wait to play! Looks awesome! Can’t wait to play it! Very curious. If it controls like sprint vector it could be a lot of fun traversing the environment for sure. I’ll keep an eye out for this. Initial reaction: Awesome, this could have real potential! I hope it’s well done and not too short. Resulting reaction: Don’t get your hopes up there, Sparky. This sounds somewhat exciting. I was extremely disappointed with The Martian, hopefully this will be a step up from that. Sorry for my skepticism, but burn me twice shame on me.